1. 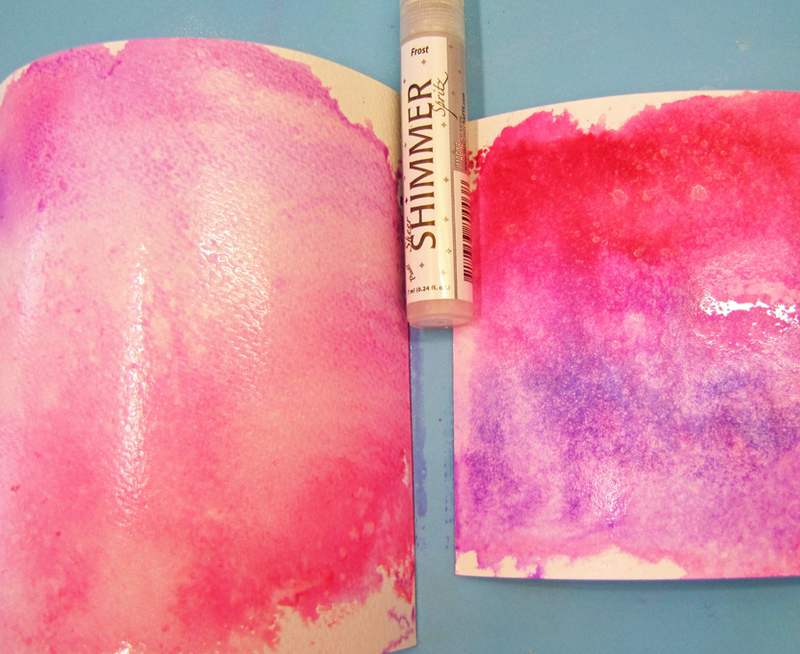 Cut a mat layer using watercolor paper. 2. 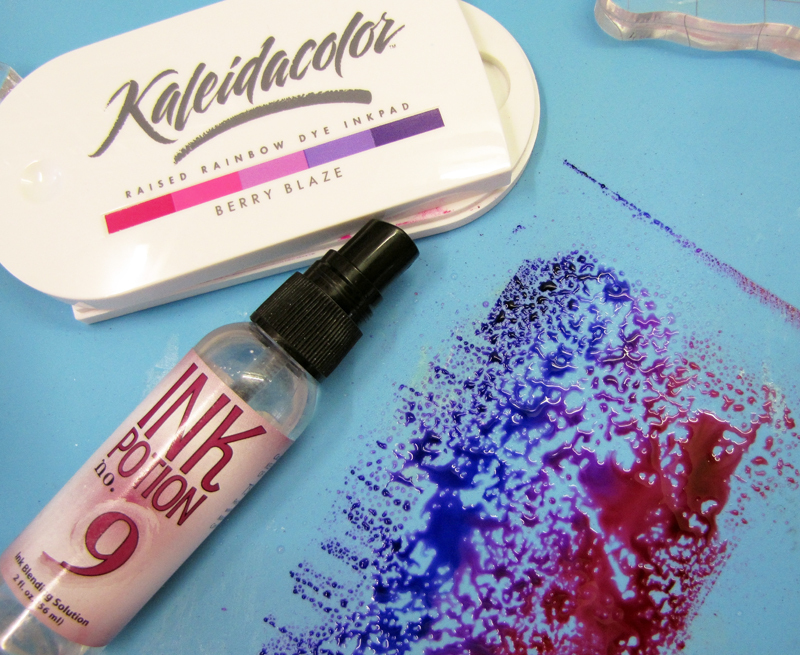 Ink the stamp using one color band at a time, spritz Ink Potion no.9 and stamp onto the mat layer. 3. 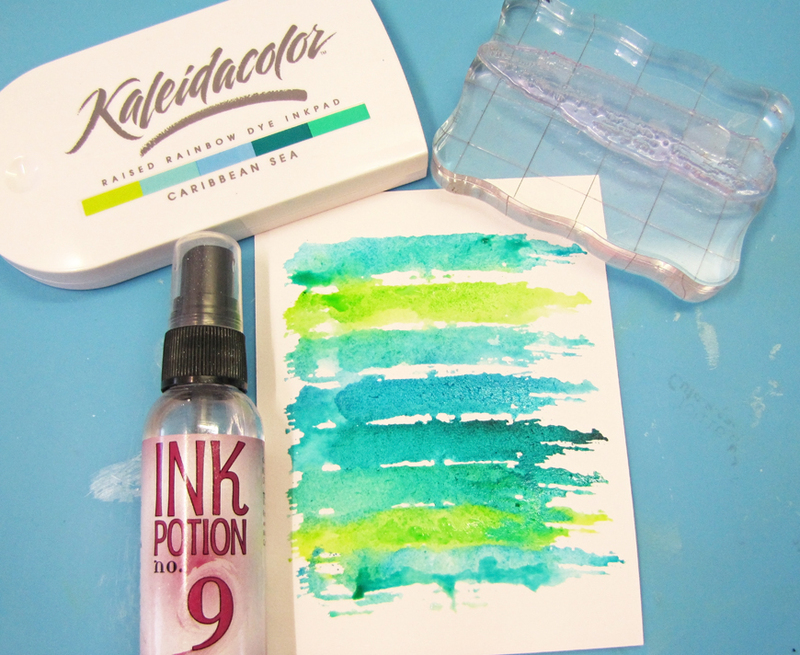 Dab the inkpad onto the craft mat, spritz Ink Potion no.9 and put a scrap piece of watercolor paper onto this. Once I removed the scrap piece, there was some more ink left, so I spritz it again and colored another piece. 4. On the right is the first generation effect, which is brighter and on the right is the 2nd. generation softer effect. Spritz some Shimmer Spritz Frost onto this panel, let dry. Flick some wedding dress irRESISTible texture spray. 5. Die-cut a frame using the frame die, adhere acetate behind it. Create a shaker element. 6. 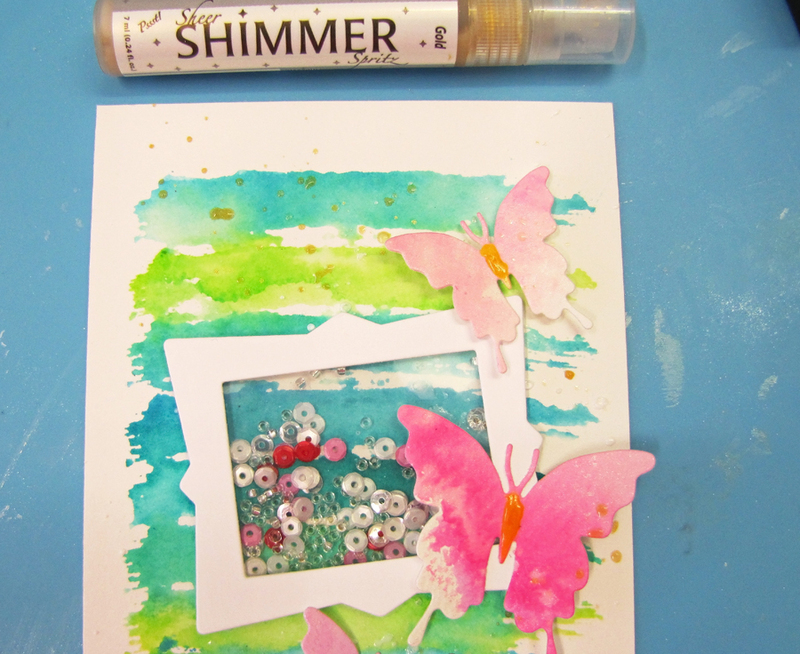 Die-cut butterflies using the inked panel. 7. 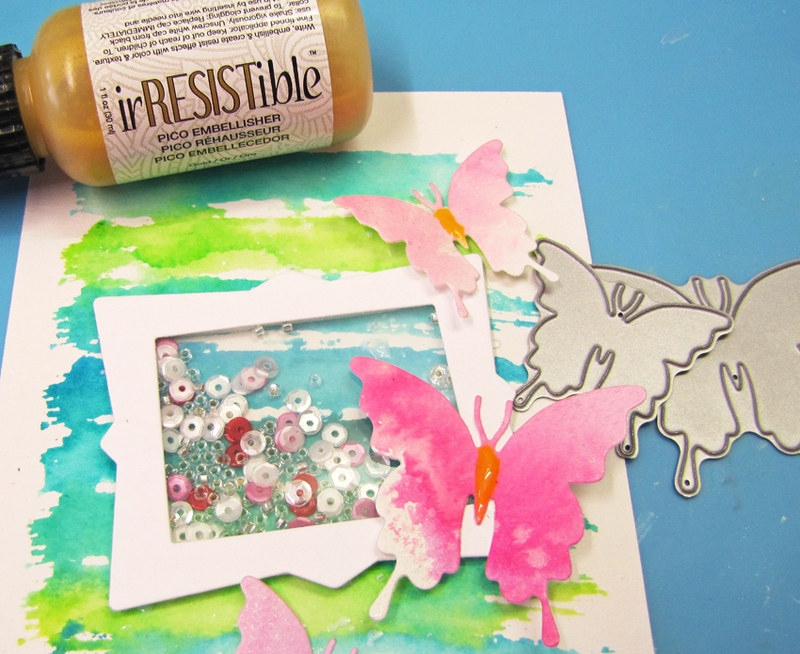 Adhere the butterflies to the card and apply irRESISTible Pico Embellisher in gold to the center. 8. 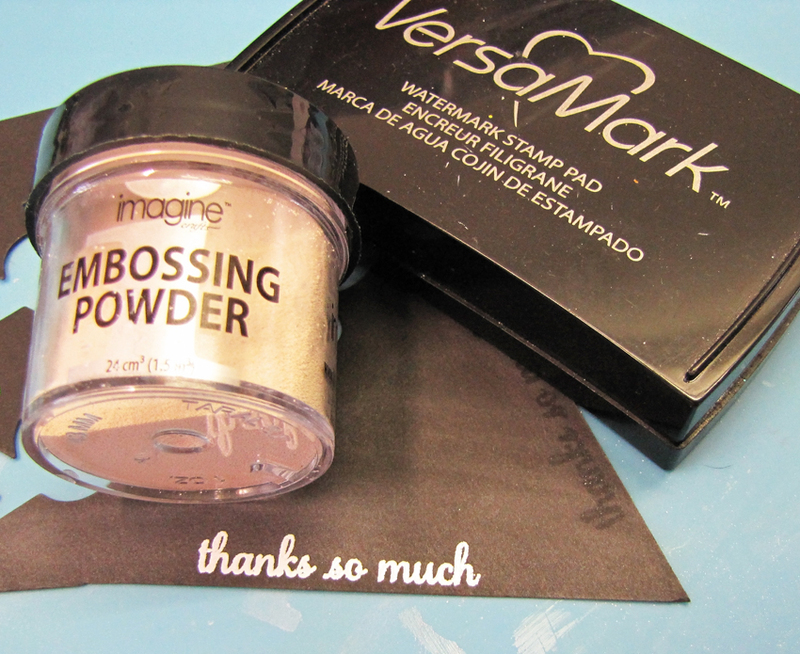 Flick some Shimmer Spritz Gold onto the card. 9. Stamp and emboss the sentiment onto a piece of black cardstock, cut into a stripe. 10. Adhere the sentiment to the card as in the photo above.